Taiyuan Halal Restaurants, Taiyuan Muslim Restaurants, Halal food in Taiyuan, Muslim Food in Taiyuan. Muslim community in Tiayuan is around the Taiyuan Ancient Mosque and most of the Halal restaurants in Taiyuan are also nearby the mosque. 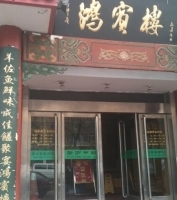 Hongbinlou Roasted Duck Restaurang(鸿宾楼烤鸭店) is one of the most famous Halal restaurants in Taiyuan. 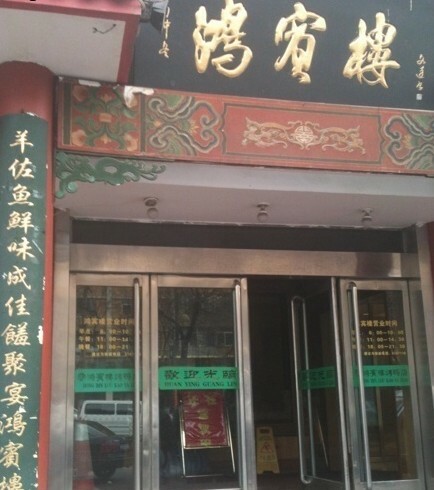 It’s the only Peking Roasted Duck Restaurant in Shanxi province. Hongbinlou Halal Restaurant serves numerous dishes, not only roasted duck but also delicacies from land and sea, beef, mutton and eggs. All the dishes are fantastic. Nine dishes like Peking Roasted Duck, Mutton Hot Pot, Duck Feet Aspic, Little Round Steamed Bun, and Big Glutinous Rice Ball are their best selling dishes. Especially the Mutton Hot Pot is known to all people, Muslims and non-Muslims in Taiyuan.